Guest blog post by Kenneth C. Jack. The following is an abridged version of an article which appeared in issue 39 of The Ashlar (posted with permission by Kenneth C. Jack). Kenneth Jack resides in Perthshire, Scotland. He is active in a number of Masonic Orders, chairing a couple of them. He also enjoys writing on various aspects of the ‘Craft’, and has been published in a range of Masonic periodicals throughout the world, including: The Ashlar; The Square; Philalethes Journal; Scottish Rite Journal; and Masonic Magazine (now defunct ). He has also had non-Masonic essays published in history periodicals in the USA, including: The California Territorial Quarterly. “Who’s the Mason in the Black?” shout the supporters of any football side (or soccer side for American readers) when the match referee awards what in their minds is a dubious decision in favour of the Scottish football club Glasgow Rangers. Why “Mason in the Black?” Well apart from the fact referees used to invariably dress in black, there is a feeling abroad amongst supporters of other football clubs, that most football referees in Scotland are Freemasons; and as such, must naturally favour Glasgow Rangers because both are often perceived to be staunchly Protestant in their affiliations. Glasgow Rangers are currently striving to fend off the suggestion which has been tabloid currency for many years, that they are a pro-Protestant, Anti-Catholic club, who are bigoted and discriminatory towards persons who practice Roman Catholicism. Rangers have not hidden their firm Protestant Unionist credentials from the public for a lengthy period, since their birth as a football club in 1872. The team traditionally play in the red, white, and blue colours of the Union flag, and an anti-Catholic bias has had the tacit – if not overt approval of those associated with the club for many years. In 1912, Glasgow Merchant Sir John Ure Primrose became Chairman of the club. He was a fervent Unionist, staunchly anti-Catholic, and publicly allied Rangers to the Masonic cause. He also saw his clubs rivalry with Celtic as a money-making enterprise, and sectarianism catered to a large niche market. Efforts to curb sectarian chanting by their supporters, is something Rangers FC has only recently addressed, their minds increasingly focused on the problem, due to pressure brought to bear by the Union of European Football Associations (UEFA) in the latter’s crackdown on Sectarianism in Football. Rangers great and bitter rivals are of course Glasgow Celtic Football Club which has a strong Irish Republican, Roman Catholic tradition, stemming from the fact the club was formed by Irish Marist Priest, Brother Walfrid (Andrew Kearns) in 1888, and for whom a statue now stands proudly outside Celtic Park. The supporters of Celtic FC proudly emphasise their tradition by singing Irish songs and waving the Irish tricolour at matches. Notwithstanding, Celtic Football Club seemed to have more of a pro-Catholic bias as opposed to an anti-Protestant one, as evidenced by the number of Protestants who have played for them over the years; and of course, their most famous and successful Manager was the great Jock Stein, who was a Protestant and Freemason. In fairness, it also has to be said that Rangers have publicly employed Roman Catholic players and staff in recent years. Nevertheless, both sides have had sectarian elements attached to them throughout their history, some of whom not only sing the praises of paramilitary organisations which existed during the political troubles in Northern Ireland, but have been members of these organisations, or have supported them financially. Rangers supporters not only sang the praises of King William of Orange and his famous defeat of Catholic King James at the Battle of the Boyne in 1690, but also did the same for the various paramilitary Loyalist groups in Northern Ireland. At the same time, Celtic supporters did likewise in their ballads praising the Pope and extolling the dubious virtues of Republican paramilitaries. So, where does Freemasonry come into this? Well, the fact is it does not, or should not. In order to become a Freemason, a candidate needs to profess a belief in a supreme being. He has to be at least 21 years of age, free, and of good character. On that basis, good men of any religion can become Freemasons – and do. There are Protestant, Roman Catholic, Jewish, Muslim, and Hindu Freemasons who all meet harmoniously within a Masonic Lodge. The chant “Who’s the Mason in the Black”? is therefore a misnomer, and leads to confusion for members of the public. But why is it that the public believe Freemasonry to be an exclusively Protestant organisation, with a bias against Roman Catholics? It is very simply because in the mind of many of them, Freemasonry is synonymous with Orangeism. Many people believe Orangeism to be a shady, invidious ideal. The Orange Order is an unashamedly sectarian organisation; only Protestants can join the Order, and the main aim of the Order is to defend Protestantism as the dominant religion of their country. They swear to defend the faith, particularly against Papal encroachment, which they deem contrary to their core beliefs. Moreover, there has always been juxtaposition between some members of the Orange Order and Loyalist paramilitary groups. Notwithstanding, the Orange Order is a lawful organisation, and the leaders of it point to the fact they are not anti-Catholic, but pro-Protestant; and that their beef, if they have one, is not with Roman Catholics as individuals, but the Papal Hierarchy; both in the way they choose to practice the worship of God, and their social and political ambitions. But this does not explain why the public believe that Freemasons and Orangemen are cut from the same cloth. Although Freemasonry and Orangeism are two totally distinct Orders, that are not in amity or affiliated in any way, they do share a common history; and it is known that many men simultaneously enjoy membership of both organisations. The Orange Order came into existence in Northern Ireland in 1795; it is not the purpose of this paper to discuss the long and bloody history of Ireland and only a brief synopsis is required here concerning the origins of the Order. In the wake of the Battle of the Diamond – which in reality was a fifteen minute skirmish – Wilson, Winter, and Sloan resorted to form another society of men; this one exclusively for Protestants, who would be prepared to defend Protestant families from attack and persecution by the Roman Catholic ‘Defenders’. 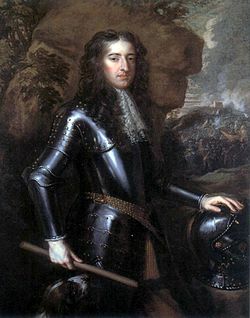 This new organisation was called the Orange Society in fond memory of the Protestant King William of Orange; and because the men who created it were well-informed and active Freemasons, the organisation was formed into Lodges on the Masonic model, with a neo-Masonic degree system which included: modes of recognition; pass grips; and words. In years to come the Orange Order would add a number of other neo-Masonic Orders including the Royal Arch Purple and the Royal Black Institution, which were clearly modelled on the Masonic Royal Arch, and Order of the Temple. These additional Orders were seen by some Orangemen as ‘elitist’ and a blatant attempt to make the Orange Order more Masonic-like, and were resisted by them for many years. They are now considered to be part of mainstream Orangeism. This writer recalls the first time he saw a ‘Black Walk’ on television; he was well aware of ‘Orange Walks’ of course, but was surprised to see that on this occasion, in addition to the standard bowler hat, the ‘Blacks’ were wearing Masonic style aprons adorned with Square and Compass jewels. So, it appears that the fundamental difference between members of these Orders is, that a Freemason professes belief in an all-encompassing God; whereas, an Orangeman professes belief in a Protestant God and a Protestant God only. But, is there any reason to believe that Freemasonry over the years has been distinctly Protestant in character, such that it is not just the historical link and cosmetic likeness to Orangeism that leads people to believe this of it? Certainly, a number of authors over the years have pointedly referred to Masonic Lodges as “Protestant Sects” or an organisation for “middle class Protestants.” (For more on this, see Kenneth Jack, “Freemasonry, Social Cohesion and Social Progress in 19th and 20th Century California,” Masonic Magazine, issue 6, Winter 2006. In this article, Kenneth Jack quotes a number of writers who equate Freemasonry with Protestantism). As Freemasons often suggest, perhaps the boot is on the other foot. There have been several Papal Bulls (Edicts) issued by Popes over the years in which the Church of Rome makes clear its opposition to Freemasonry and cautions their flock from joining so-called oath bound secret societies; which are not expressly their own oath bound secret societies! Masonic scholar Jessica Harland-Jacobs makes this point when discussing the situation in Ireland during the early 19th century: “The hostile attitude of the Catholic Church – which was so obviously out of the control of Masonic authorities – contributed to Masonry’s increasingly Protestant character.” She continues: “The priests actions against Freemasons were not the sole reason for Catholics’ departure from the [Masonic] fraternity. Sometimes lodges with predominantly Protestant memberships either forced Catholic members out or prevented Catholics from joining in the first place. For example, during the 1820s Lodge No. 424, in County Antrim, instituted a rule requiring members and candidates to swear they had never “professed the Roman Catholic religion.” See Jessica L. Harland-Jacobs, Builders of Empire: Freemasonry and British Imperialism, 1717-1927 (Chapel Hill: University of North Carolina Press, 2007), 153-156. It was for these reasons, that an impression gained ground both in Ireland and further afield, that Freemasonry and Orangeism were indistinguishable – and distinctly Protestant in character.